Island 3 of Koh Haa is most famous for its beach and Lagoon dive site, both of which are on its east coast, but there are at least four other dive sites around the rest of the limestone islands other sides. Island 3 is quite long and thin, and has limestone walls around most of its circumference. There are interesting dive sites at the island’s north and south tips as well as along the wall on the long western side. 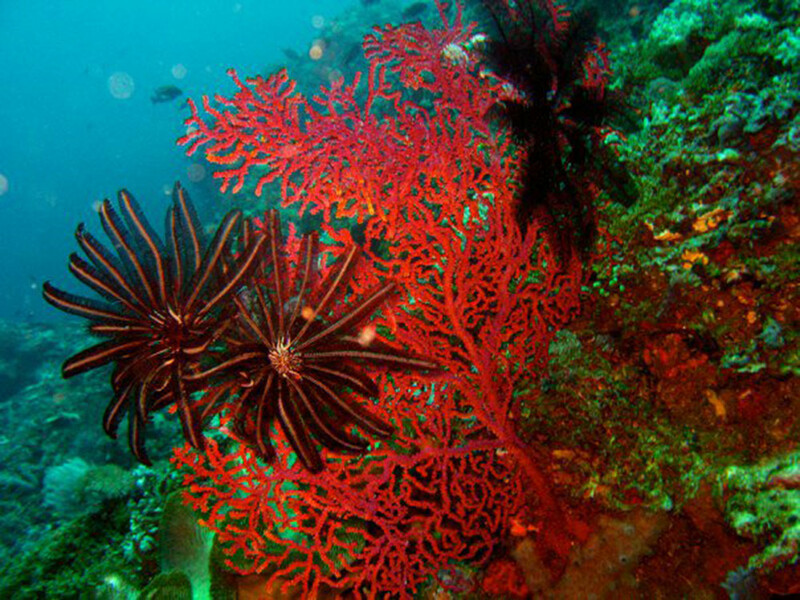 Gorgonian Sea Fan Photo by Emmy AhlénWhip Coral Point gets its name for quite obvious reasons. Here at the northern tip of Koh Haa Island 3 there are quite a few whip corals which did not grow healthily by coincidence. The water here is exposed to quite a lot of open sea out to the north and northwest of Koh Haa archipelago and the nutrients in the water such as zooplankton and phytoplankton are an excellent source of food for whip corals, which can embed their roots in many kinds of surfaces. The diving is not as special as some other Koh Haa dive sites, but because of that it is therefore not usually crowded with divers. Some people can rightly claim that an average dive site without other divers is better than a crowded good dive site. Marine life species at Whip Coral Point are similar to much of the rest of Koh Haa, with the exception of some more colourful reef fish and invertebrates that prefer more sheltered areas. At depth, there’s a chance of seeing a Blue-Spotted Stingray (Neotrygon Khulii) or some of the aforementioned reef sharks. Lionfish (Pterois) Photo by Emmy AhlénCliff Jump Cove is on Island 3’s west side and is rarely visited, mainly because The Lagoon has so much more to offer divers of all levels and snorkellers, too. However, when the winds or currents are coming from the east or northeast, there is more protection and calmer conditions at Cliff Jump Cove than many other Koh Haa diving sites. The problem with Cliff Jump Cove is that it’s a trip in a boat around from the east side of the island and there isn’t much space or mooring opportunities for dive boats, nor is there much for snorkellers to do. However, on days when conditions are more favourable, and the right kind of people are on the boat, this can be a very enjoyable dive site. 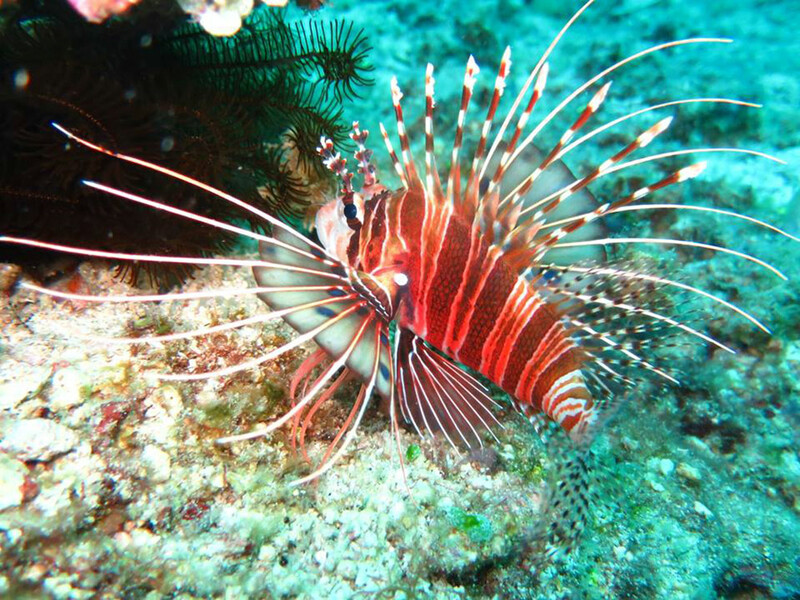 At Koh Haa 3’s southern tip there are a couple of dive sites, namely Lionfish Den and Southern Ridge. 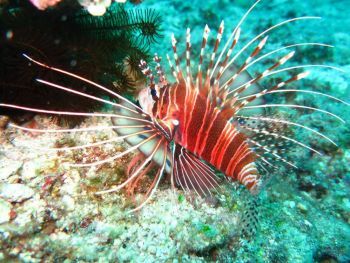 Depending on sea conditions, such as currents, they are often dived together on one tank of air, but Lionfish Den can also be part of a drift dive with Cliff Jump Waal if there is a medium to strong north/south current on the day. Lionfish Den gets its name for the higher than average number of Lionfish (Pterois) to be found here. It’s also a good place to find healthy corals and sea fan as they benefit from the nutrient-rich currents coming from the west. There are rocks, boulders, coral bommies and barrel sponges at both dive sites, but Southern Ridge has marine life better adapted to dealing with currents for longer periods and from different directions. Both of these sites, particularly Southern Ridge, offer possibilities to see large filter-feeding cartilaginous species, such as Whale Sharks and Manta Rays. It’s by no means guaranteed, but they do swim between the islands from time to time.